Puerto Rico + Oakland+ Bay Area ALL AS ONE! Calle 13 made a triumphant return to the Bay Area, and this time the band lit up the Fox Theater in Oakland. Compare to their visit to the Bay in October, where they had no opening band, and the DJ set was less than stellar. For this show, Bang Data was in charge of the opening set and DJ Kool Kyle on the turntables. Bang Data has been working so hard and nonstop, currently promoting their latest album called La Sopa. As a fan of this extraordinarily talented Bay Area band; I could not have been prouder to see them on stage at the Fox Theater. 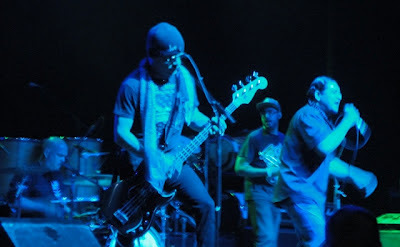 The guys came on stage and instantly pumped up the crowd- many of the people in attendance had seen Bang Data play live, while others who were first-timers were instantly charmed with the band’s infectious sound. There is something about the dynamics amongst the guys (Deuce Eclipse-Lead Vocals, Caipo-Drums/Producer, Marco Guzman-Bass Dave Shul Guitar) that makes people want to dance and sing along their songs. In other words, they rocked the heck out of the Fox Theater! Bang Data is out to blow up! If you are new to their music, get to know them NOW! Once Bang Data’s set was over, the fans were ready and eager for Calle 13 to get on stage, DJ Kool Kyle kept the hype going with a fantastic set! I myself was singing and dancing as he was on the turntables. In my eyes, that’s what a great DJ set is all about. 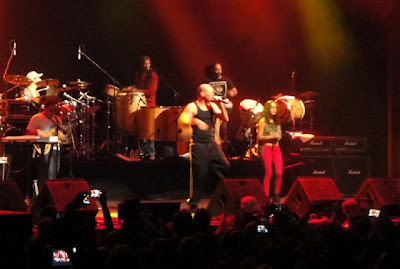 Residente (Rene) rocking the track pants and a black wife beater, a now typical “outfit” for most of the shows, Peje 13 wearing tight red pants and a cropped top, Visitante with his hat (staple of his outfits.) Another member from the band was showing Oakland love by wearing the A’s hat and Cespedes jersey. As with every single one of their shows, the band makes fans sing along to every song, dance and pay close attention when Residente talks politics and social issues. During one of the many times that Rene addressed the crowd, he discussed the never ending violence in Latin America. There were Puerto Rican flags waving throughout the place, flags from other countries and one voice echoing everything that Rene was saying. Calle 13 is well-known for being politically active and extremely outspoken against the government, violence and the injustice around the world. The show did not disappoint! 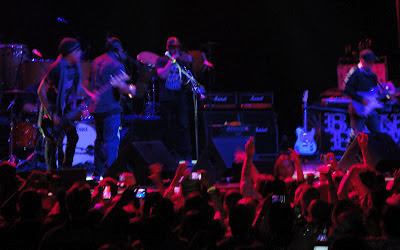 The fans were extremely satisfied and it showed, the Fox Theater was filled to the max. 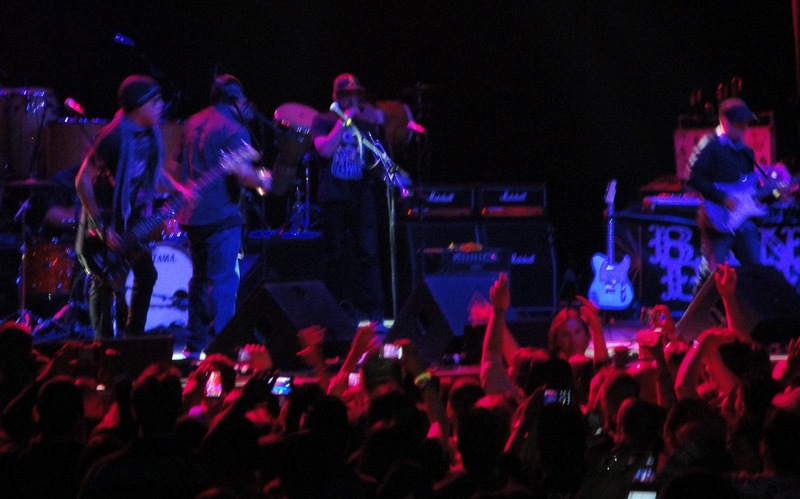 The band is off to Mexico and will be part of the Wirikuta Fest in Mexico City on May 26th at the Foro Sol.